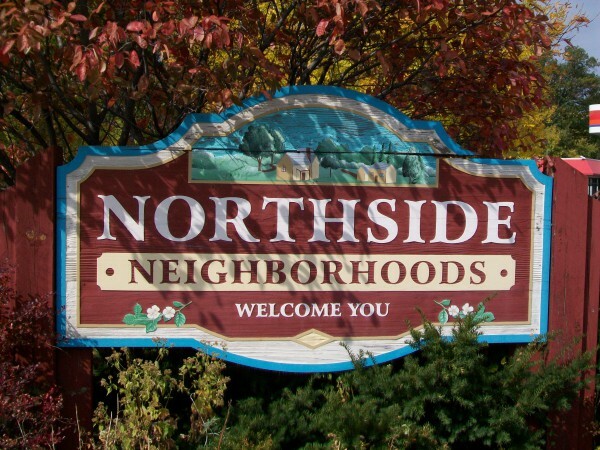 This is another great event, hosted by the NESCO (North/Eastside Senior Coalition), just like the Warner Summer Concert series that we attended in June. 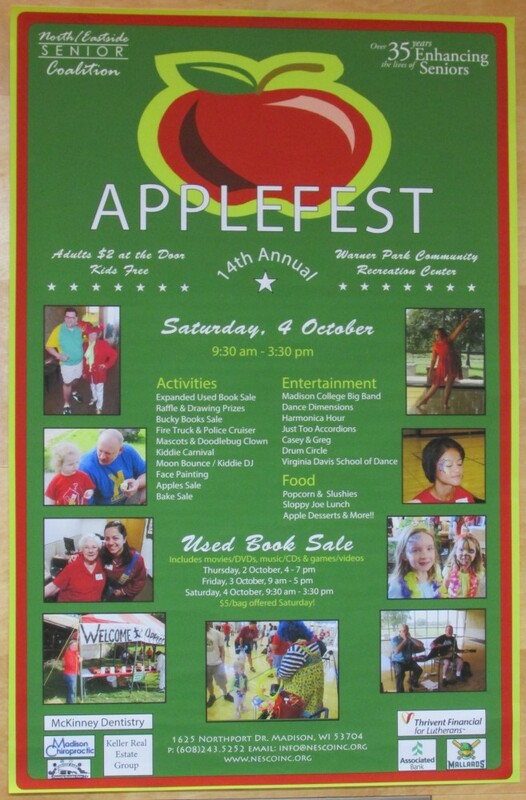 It is held at the Warner Park Community Center inside. It was a cold rainy day so that worked out well. 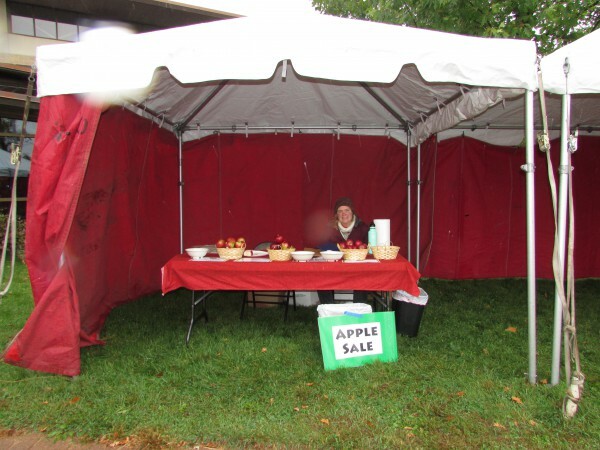 The first thing we see is the apple tent outside the community center with apples for sale. Yes, it was raining at the time. 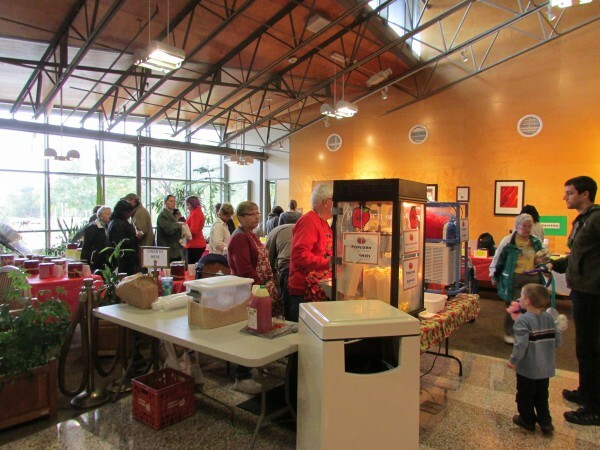 Upon going inside was lots of activity, food and a silent auction to help raise money for NESCO. Inside the gym are lots of great kid attractions. 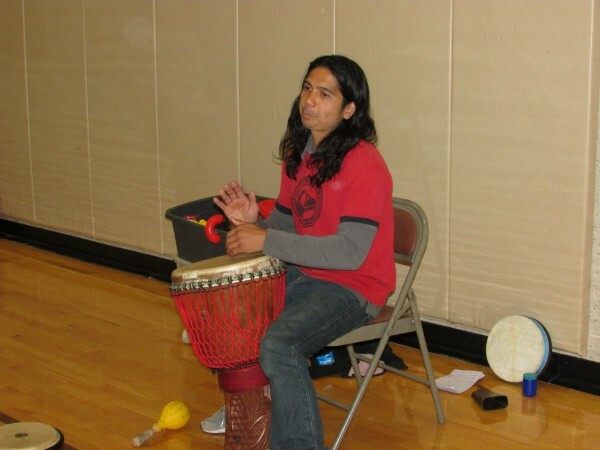 First thing at 9:30 AM was a fun drum circle, Let’s listen in. 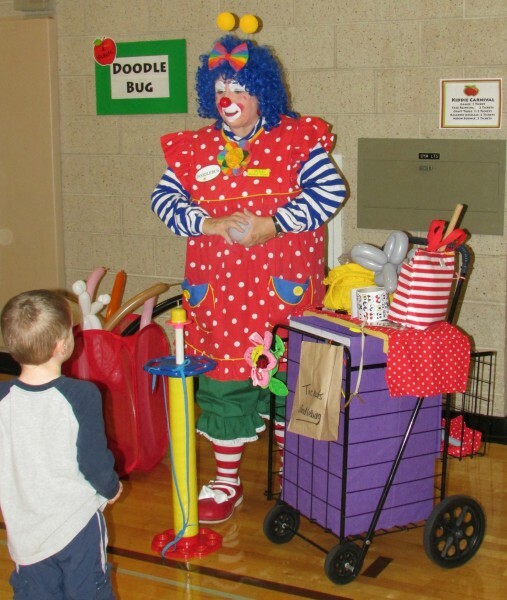 After the Drum Circle was Doodlebug the Clown making balloon animals for the kids. We have seen her at the Columbus July 4th celebration also. We also brought home a bag of books from their book sale. It was time for some more entertainment. We went to the snack bar room for some lunch and a performance from Dance Dimensions from Stoughton. 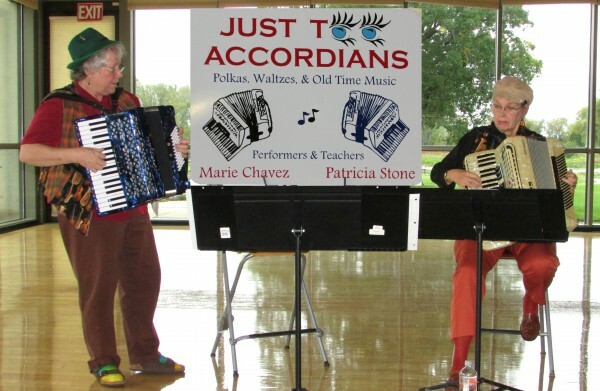 Following them were Just Too Accordions, wonderful! Lets hear them perform a favorite, “On Wisconsin”. 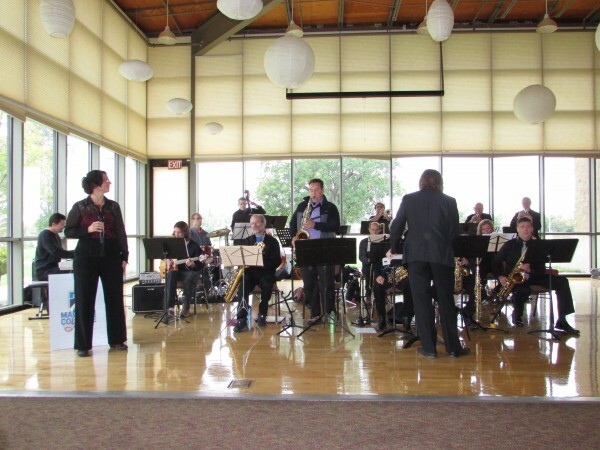 The last performance we saw was Madison College Big Band perform jazz and big band music, two of our favorites! Lets hear some of their performance! 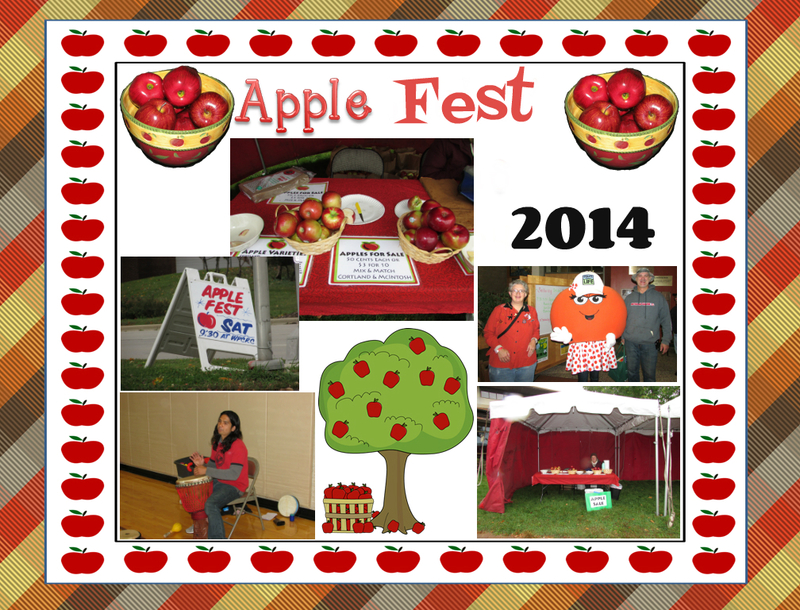 What a wonderful day, we hope to enjoy this great festival again next year.